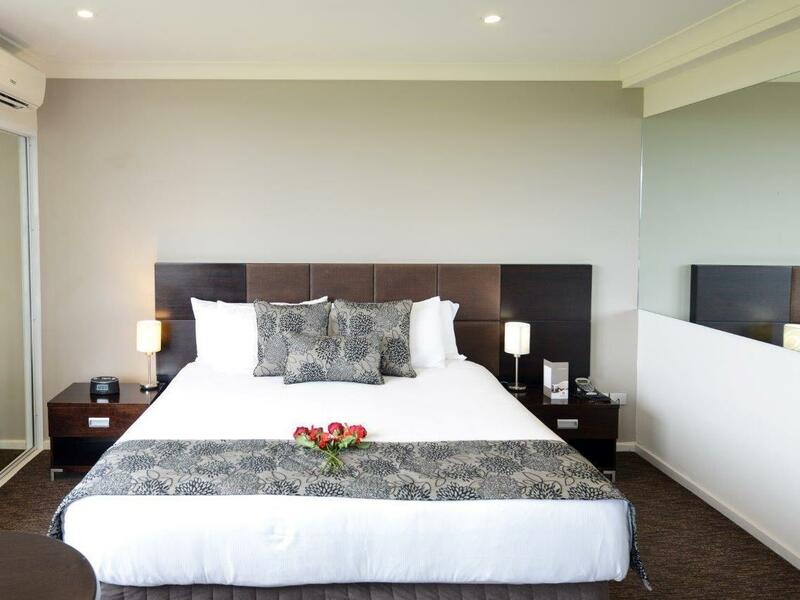 سواءً كنت مسافراً بغرض السياحة أو العمل, Rydges Southpark Hotel Adelaide هو خيار عظيم للإقامة خلال زيارتك أديليد. إن موقعه الجيد الذي يبعد 1km فقط عن مركز المدينة يساعد النزلاء على الاستمتاع بمعالم المدينة ونشاطاتها. يوفر الفندق بفضل موقعة الجيد وصولاً سهلاً إلى أهم معالم المدينة.
. ببساطة كل الخدمات وأساليب الضيافة التي تشتهر بها Rydges Hotels & Resorts تجعلك تشعر وكأنك في بيتك. هذه بعض الخدمات الموجودة في هذا الفندق: خدمة الغرف على مدار الساعة, واي فاي مجاني في جميع الغرف, أمن على مدار 24 ساعة, خدمة التنظيف يوميًا, خدمة غسيل ذاتية. 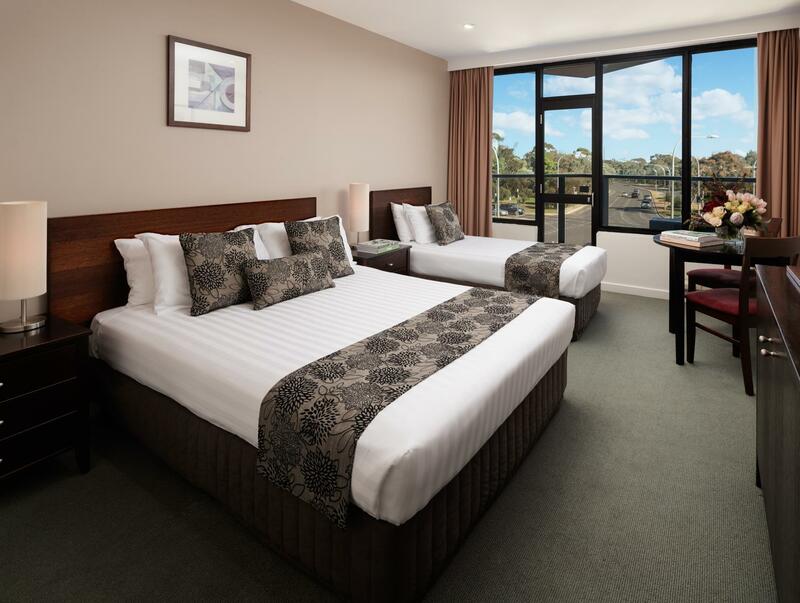 تنعكس أجواء Rydges Southpark Hotel Adelaide في غرف الضيوف.تلفزيون بشاشة مسطحة, اتصال لاسلكي بالإنترنت, اتصال لاسلكي بشبكة الإنترنت (مجاني), حوض الاسترخاء, غرف لغير المدخنين هي بعض الميزات الموجود في العديد من الغرف. كما أن مجموعة الخدمات الواسعة الموجودة في الفندق لضمان راحتك تترك لك الكثير من الخيارات لقضاء وقتك أثناء فترة إقامتك. 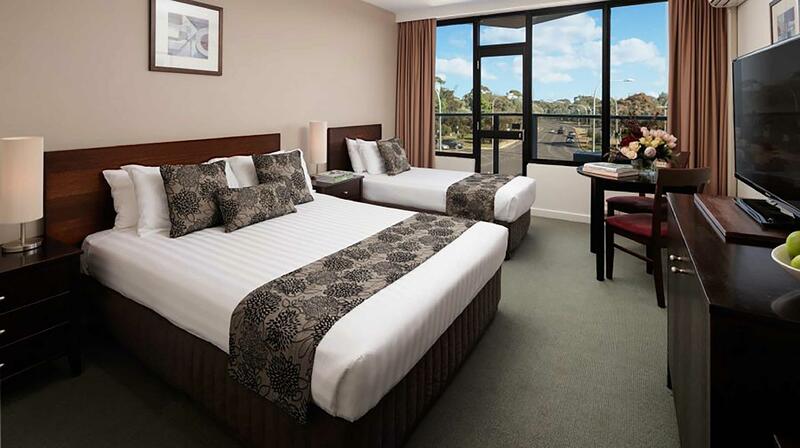 يحظى فندق Rydges Southpark Hotel Adelaide بموقع ممتاز وخدمات يصعب منافستها. Nice rooms and good facilities. Be aware that the pool is an outdoor pool (surronded by walls but with no roof). Staff were great and very sweet and helpfull! Join the rewards club for free and recieve 20 % off dining in the restaurant. Restaurant and cafe has nice food though we dined there twice and both times it took about an hour for our food to arrive even though the place wasn’t busy. Stayed there for three nights. The location was very closer to the main attractions. The lady at the reception during check-in was lovely, she was very helpful and also the gentleman at the check-out was also very professional. The room was good but when entering to the toilet it did not have a usual fresh smell and we had to use our own air fresheners. The air conditioner was not functioning well and had a weird noise in the night to disturb our sleep and may need a fix. Overall the stay was good. Extremely large rooms! Comfortable bed. Wonderful bathroom with double shower heads. Accommodating staff. Nice room, great comfort level and handy parking. Great. Newish fit out, good views of city, but a fair walk to restaurants. Good views of local parks as well. Only issue was the noisy elevator. For where it is priced, it's a great value hotel. Pool was great too. I thoroughly enjoyed my stay at the Rydges. I was fortunate to be upgraded to spa suite, which was very impressive !! The service received from all hotel staff was exceptional. 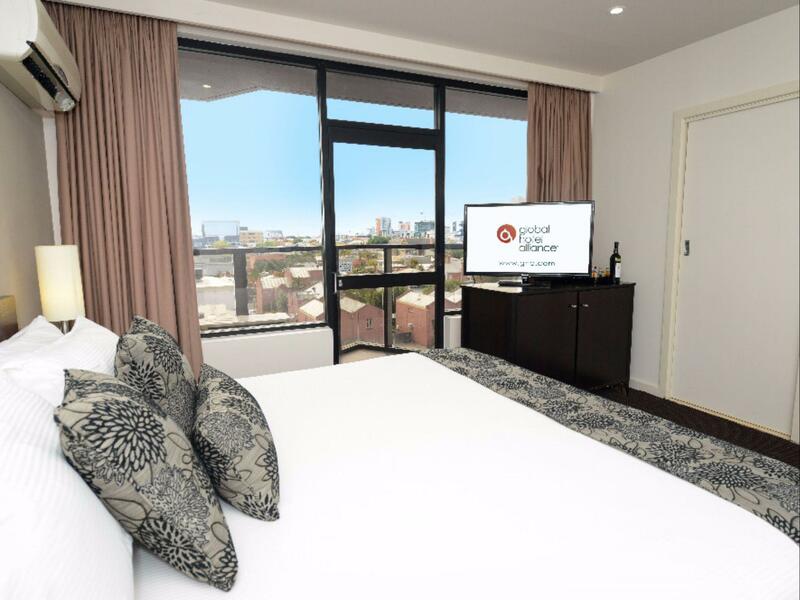 Centrally located, within walking distance of most locations within the CBD. The rooms were large and modern. I have stayed hear a number of times, the location is great. From hear you can access main roads heading anyway you need to go in Adelaide. The rooms and bathrooms have just been renovated. The restaurant on the top floor has a good menu and I think it is fairly well priced. 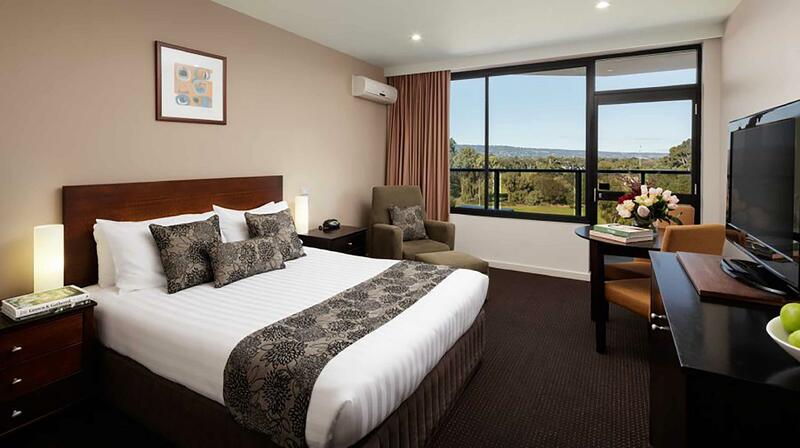 You can join the Rydges loyalty program and this will give you % off food and bev. 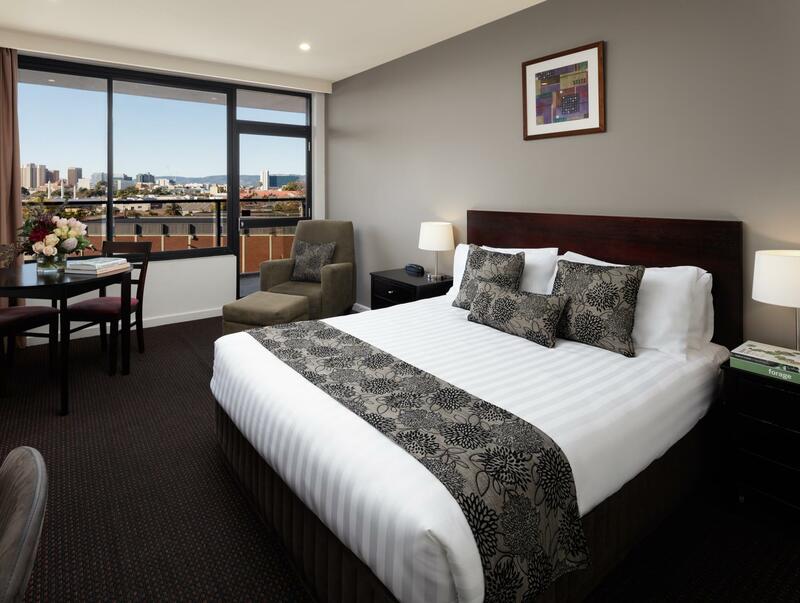 I am only in Adelaide for work, so having a good size desk in the room for me to work from is very important this hotel suits my needs and I find over all great value for money. have stayed here a few times as we live locally. Its good priced, comfortible & clean.. room good, bathroom clean & ok. free parking included which is a plus. has good facilities 24 hour front desk. Room has balcony ok for smokers. The Hotel was in a good location opposite South Park and not far from the tram in King William Street. Only two blips - we weren’t told how much breakfast cost and we found it came to $80! Luckily we only had one of them. The other was going to the restaurant on 6th floor on Saturday night at 6.00 pm to find a band blaring. And the noise was over the top! This went on til 12.00 pm, not very resident friendly, unless you were participating. Lovely staff but the hotel is a bit run down. I wouldn't stay there again. Very relaxing stay, nice staff and great facilities. Balcony and views are amazing. 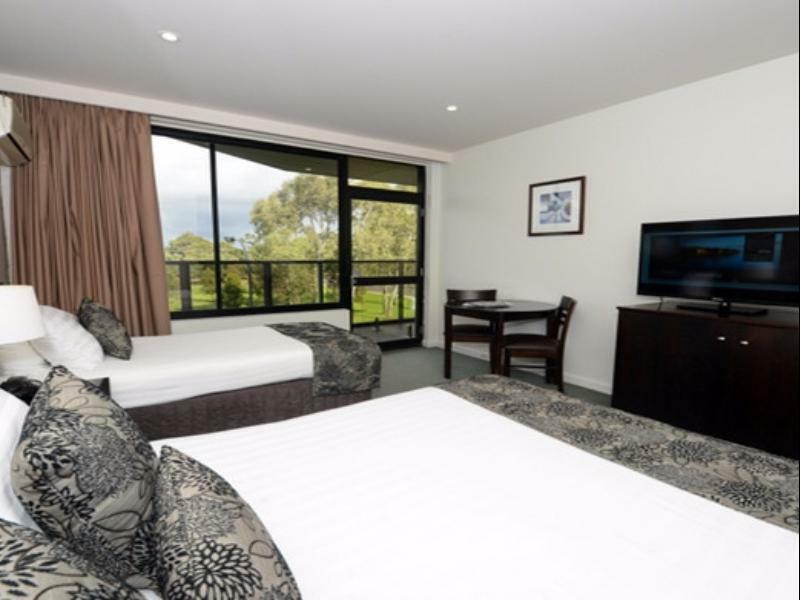 Top floor room with amazing views right across western suburbs to the sea. Restaurant food was great. First night I was woken by a council truck doing something in the footpath at 4:30am so got some foam earplugs for $1 something and slept perfectly the second night. A prominent Hotel on the corner of West/South Tce overlooking Parklands in Adelaide, South Australia. The entrance is only accessible by travelling south along West Tce. It has a small but secure Car Park with direct Hotel entry. Guests are treated to a sixth floor Bar and Restaurant, (dinner service only) plus Gym, Swimming Pool and Spa all with great views. The Bar had the basics but lacked locally made boutique drinks for which the city is renound. The Restaurant offered a small selection on its menu where they more than made up the local content with some delicious meals. At ground level the Smorgasbord Breakfast is cooked alongside the servery and offers fresh and tasty selections. The dining area, although small, is a wonderful place to greet the day from and has some outside tables too. The King Spa room had limited Room Service and no discernible views but was spacious and extremely comfortable. 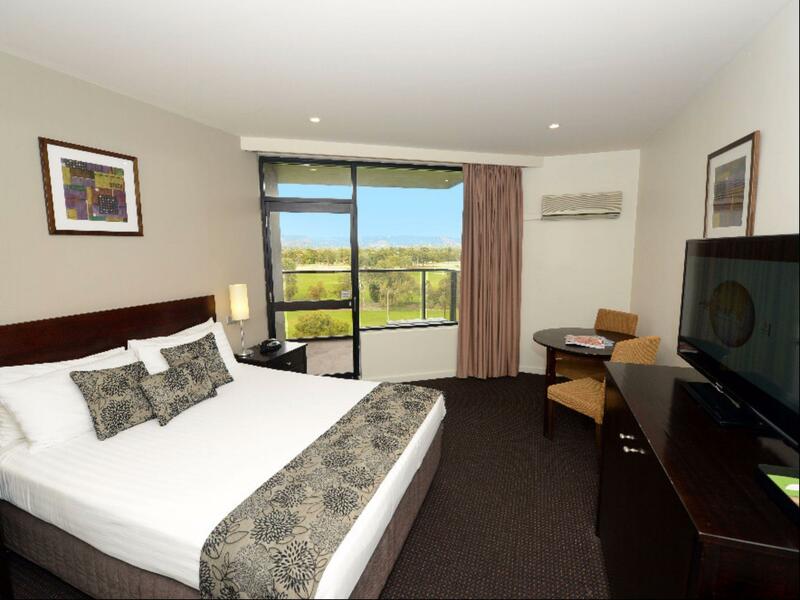 An affordable stay with a touch of luxury. The room was a bit small with an extra bed, but workable. Would have been much better if the pool was heated. It was freezing cold even right in the middle of summer, but the whirlpool spa next to it was fantastic. I enjoyed my stay, the room was clean, roomy bathroom, service was excellent. Location was a bit far from the city but. Oh and the noise from the traffic at night was kinda annoying. Tram stop is located 1km away from the hotel, too. The park with playground is across the road, great for family with kids.